John Bunyan (28 November 1628 – 31 August 1688) was an English Christian writer and preacher, who is well-known for his book The Pilgrim's Progress. Though he was a Reformed Baptist, he is remembered in the Church of England with a Lesser Festival on August 30th, and on the liturgical calendar of the Episcopal Church (US) on August 29th. John Bunyan had very little schooling. He followed his father in the tinker's trade, and he served in the parliamentary army from1644 to 1647. Bunyan married in 1649 and lived in Elstow until 1655, when his wife died. He then moved to Bedford, and married again in 1659. John Bunyan was received into the Baptist church in Bedford by immersion in 1653. In 1655, Bunyan became a deacon and began preaching, with marked success from the start. 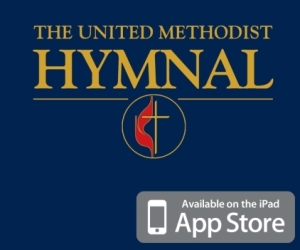 In 1658 he was indicted for preaching without a license. The authorities were fairly tolerant of him for a while, and he did not suffer imprisonment until November of 1660, when he was taken to the county jail in Silver Street, Bedford, and there confined (with the exception of a few weeks in 1666) for 12 years until January 1672. Bunyan afterward became pastor of the Bedford church. In March of 1675 he was again imprisoned for preaching publicly without a license, this time being held in the Bedford town jail. In just six months this time he was freed, (no doubt the authorities were growing weary of providing Bunyan with free shelter and food) and he was not bothered again by the authorities. John Bunyan wrote The Pilgrim's Progress in two parts, of which the first appeared at London in 1678,which he had begun during his imprisonment in 1676. The second part appeared in 1684. The earliest edition in which the two parts were combined in one volume came out in 1728. A third part falsely attributed to Bunyan appeared in 1693. The Pilgrim's Progressis the most successful allegory ever written, and like the Bible has been extensively translated into other languages. John Bunyan wrote many other books, including one which discussed his inner life and reveals his preparation for his appointed work is Grace Abounding to the Chief of Sinners (1666). Bunyan became a popular preacher as well as a very voluminous author, though most of his works consist of expanded sermons. In theology he was a Puritan, but not a partisan. He was no scholar, except of the English Bible, but that he knew thoroughly. He also drew much influence from Martin Luther's Commentary on the Epistle to the Galatians. Kiffin and Paul published a rejoinder in Serious Reflections (London, 1673), in which they set forth the argument in favor of the restriction of the Lord's Supper to baptized believers. 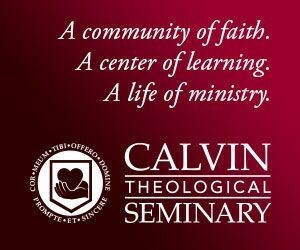 The controversy resulted in the Particular (Calvinistic) Baptists leaving the question of communion with the unbaptized open. Bunyan's church permitted pedobaptists (those who baptize children, such as the Calvinistic Presbyterian Church) to fellowship and eventually, Bunyan’s church even became a pedobaptist church. 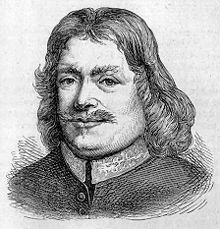 On a trip to London, John Bunyan caught a severe cold, and he died at the house of a friend at Snow Hill on August 31, 1688. His grave lies in the cemetery at Bunhill Fields in London. Grace Abounding To the Chief of Sinners is John Bunyan's spiritual autobiography. In it he tells of his conversion and struggle with faith. He wrote it while he was imprisoned for preaching without a license. His main issue was a kind of "spiritual obsessive compulsive disorder" as one reviewer puts it. Bunyan was constantly concerned about the state of his salvation and whether God deemed him worthy enough for eternal life. This story communicates the author's anguish over his sin, his confession, and the life-changing impact of God's saving grace. Bunyan's spiritual struggles will remind readers that even the great minds of faith had issues with belief, and his personal testimony will encourage anyone who is doubting the status of their salvation. While John Bunyan is most famously known for writing Pilgrim's Progress, his works of Christian literature extend well beyond just one novel. Indeed, Bunyan was a prolific writer and preacher, authoring over fifty books and tracts during his lifetime. Like Pilgrim's Progress, The Holy War is an allegorical novel which depicts fictional people and events to illustrate the Christian's spiritual journey. The Holy War is the story of "Mansoul" a perfect town built for the glory of its benevolent creator and leader, King Shaddai. After being deceived by the wicked ruler Diabolus, the town rejects the rule of King Shaddai and falls deep into the mires of sin and despair. As battles rage against good and evil, the redemption of Mansoul is only possible through the victory of Shaddai's son, Prince Emmanuel. Bunyan's allegory is full of clever characters and captivating drama. This important Christian classic is both educational and entertaining, so it is a great book for leisure reading or Bible study. In this companion to his great allegory, The Pilgrim's Progress, John Bunyan gives his readers a dialogue between two characters, Mr. Wiseman and Mr. Attentive, who discuss the life of a new deceased "Mr. Badman." This powerful dialogue revolves around sin and redemption, waking readers up to the actions and consequences of the unrepentant sinner. For those who loved The Pilgrim's Progress, Bunyan's The Life and Death of Mr. Badman will provide a fresh and compelling look at the nature of sin.